The recently passed Veterans Choice Program Extension and Improvement Act both extends and expands an important program at the Department of Veterans Affairs (VA). 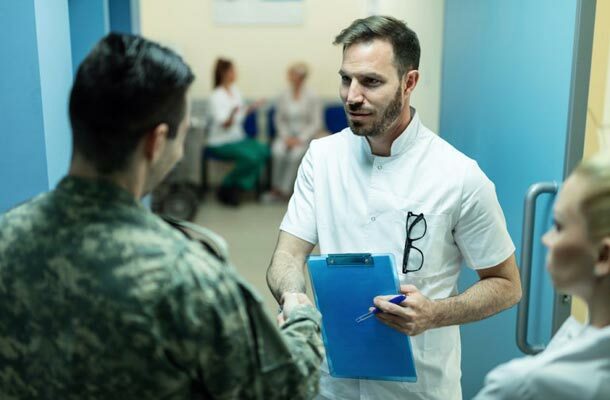 Originally created by Congress in 2014, the choice program was set up as a pilot program limiting when and where veterans could use private doctors. Patients could only use the Choice Program if they lived more than 40 miles away from a VA hospital or if they couldn’t get an appointment at their local VA facility within 30 days. The original program was set to expire August 7, 2017, with $950 million in program funding still available. The new legislation keeps the program in place while addressing a major complaint of veterans’ organizations. It directs the VA to cover co-pays and deductibles directly for private care rather than reimbursing veterans for paying up front. It makes the VA the primary payer (previously the VA was the secondary payer) for medical care relating to non-service connected disabilities and recovery of costs from third parties for certain types of care under the program. The revised law also allows the VA to share patient information more easily with private health care providers. Under the new legislation, the VA is allowed to continue operating the Choice Program until funding runs out, which is expected early next year. This extension gives Veterans Affairs Secretary David Shulkin time to develop a more comprehensive plan that would allow all veterans easier access to care outside the VA health system. Shulkin has said he would like to expand veterans’ access to private care by eliminating the program’s current 30-day, 40-mile restrictions.